By now, you have undoubtedly seen amazing videos and photos of what is being hailed as one of the best E-Ticket attractions to come from Walt Disney Imagineering in years. Mystic Manor in Hong Kong Disneyland uses a trackless ride system to bring guests through an ornate house filled with mesmerizing special effects. For me, what makes a Disney attraction stand out from any other in the industry is their intricate method of storytelling. Most of you reading this blog knew the storyline months, if not years, before the attraction opens. Those of us who loved themed entertainment eat, sleep and breathe this stuff. As soon as any concept artwork comes out, we gobble it up and see it on dozens of fan sites before construction even begins. However, for the other 98% of guests visiting Hong Kong Disneyland, they have probably only one or two print ads or commercials on television presented by the main stream media that they are exposed to before ever entering the park. This means in order to immerse them into the story, they need to be exposed to certain pieces of information before they set foot on a ride vehicle. 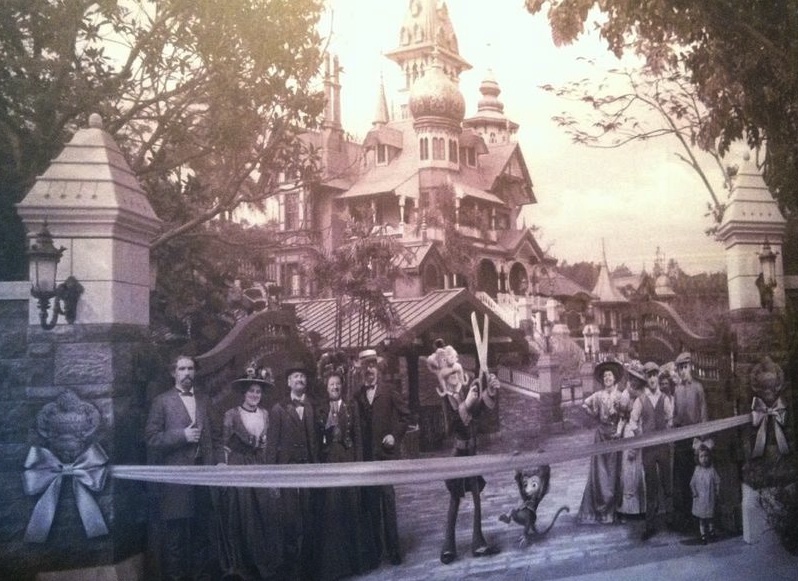 According to legend, Mystic Manor was opened in 1896 by Lord Henry Mystic, an eccentric explorer who collects artifacts from all around the world. Mystic Point, the town where he built his estate, is still home to his private residence. Henry created a small annex to the side of his mansion for the public to enter through so they can admire his collection. 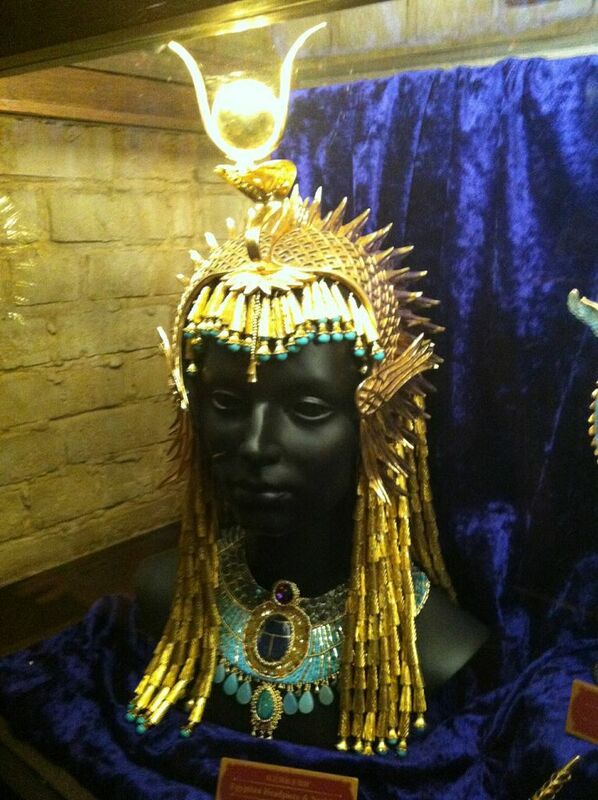 Once inside, guests can study pieces from Lord Henry’s artifact collection that he has acquired over the years like this Egyptian Headdress…. 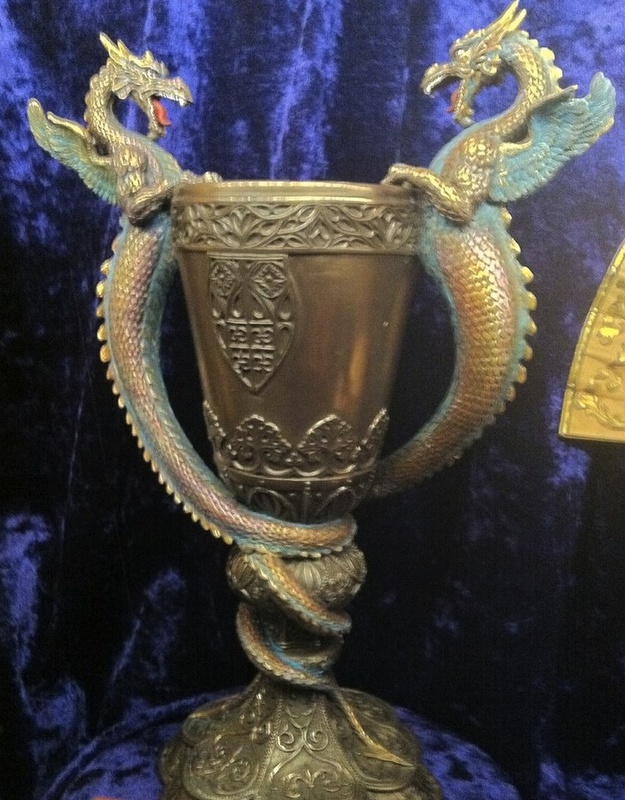 …Or this Gothic Dragon Chalice that he found while exploring China. 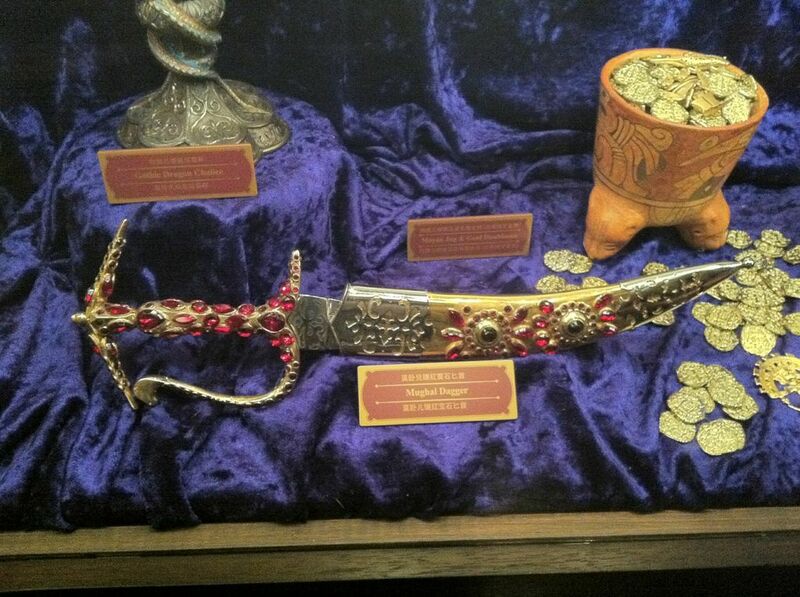 Henry brought this bejeweled dagger from India to Mystic Manor, a remnant of the Mughal Dynasty from 1526 AD. 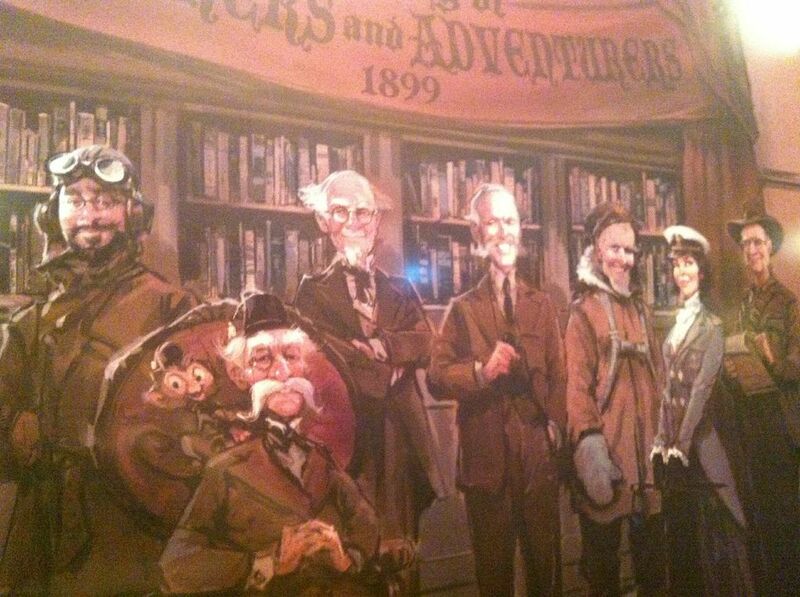 More important than the artifacts are pictures and portraits hung around the gallery/queue. 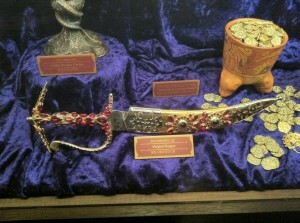 Not all items located within Mystic Manor are on display. This drummer idol Henry found in Tahiti was placed in his private residence. 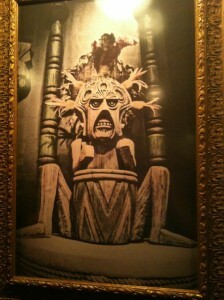 It bears a striking resemblance to drumming Tiki Gods found in Walt Disney’s Enchanted Tiki Room. Many times, instead of having an actual photograph of the item that Lord Henry collected, there was a painter there who would draw a portrait of the event. 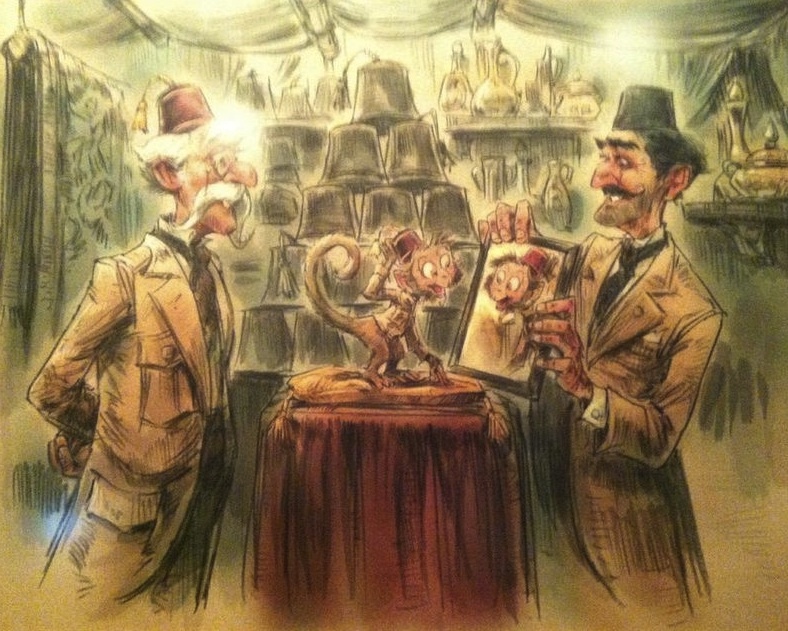 In this case, we see Henry cleaning up a Tiki statue while his pet monkey, Albert, makes the artist’s life a little more difficult. Regardless of how challenging it must have been for this guy to capture all these moments in the form of a portrait, he did one for nearly every time Lord Henry came across a major find. Here he is standing next to an impressive statue of the Monkey King while visiting China that he brought back to his home. Albert seemed to go with Lord Henry everywhere he went. 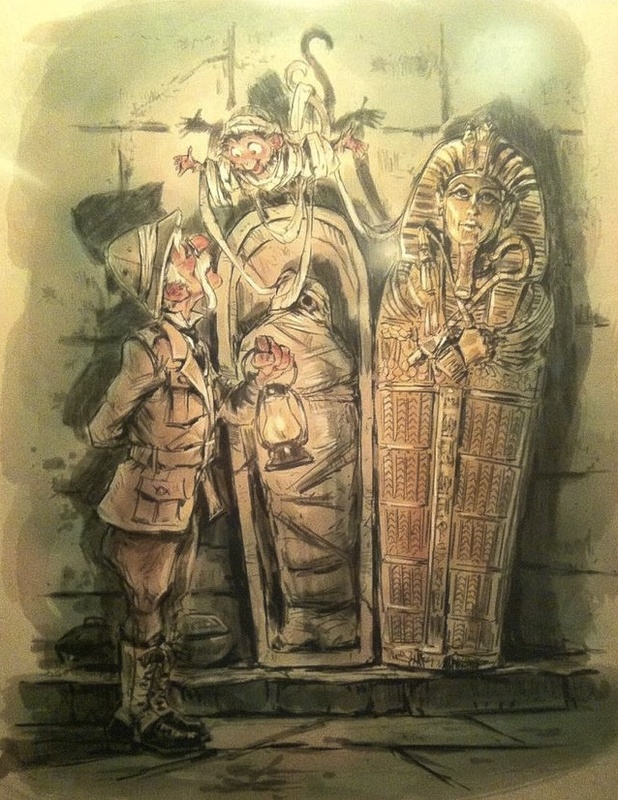 While exploring Egypt, he came across this sarcophagus. Regardless of the language you speak, you can start to tell that he is a bit of a trouble maker. Despite being a bit mischievous, you can tell Lord Henry and Albert have a genuine affection for each other. While visiting Morocco, they both bought matching fezzes which they still wear to this day. Here they are boxing up an African Tribal Mask they found while exploring Kalahari. I think he might have taken it from a tribesman who used it as a shield trying to defend his territory while exploring the Nile River on a Jungle Cruise. Lord Henry didn’t only collect cultural artifacts to bring back to Mystic Manor, he was also interested in new technologies. 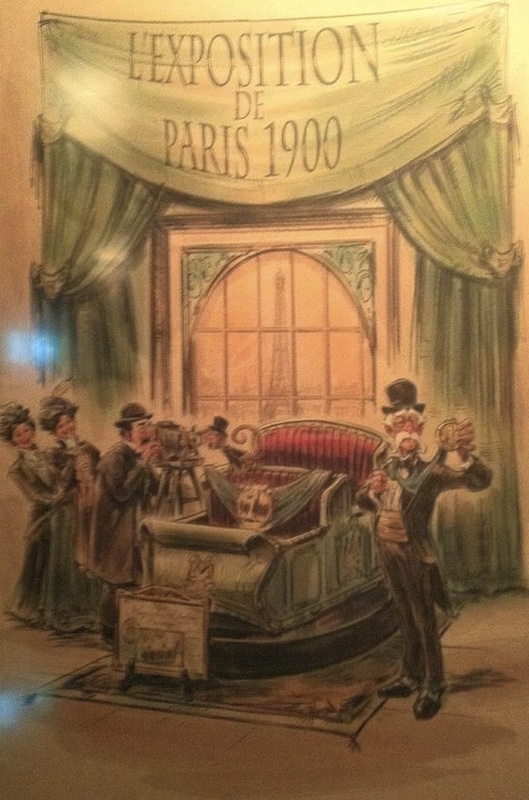 Here he is in 1900 at the unveiling of the Magneto-Electric Carriage in Paris, France. Yet another keepsake he just had to have. 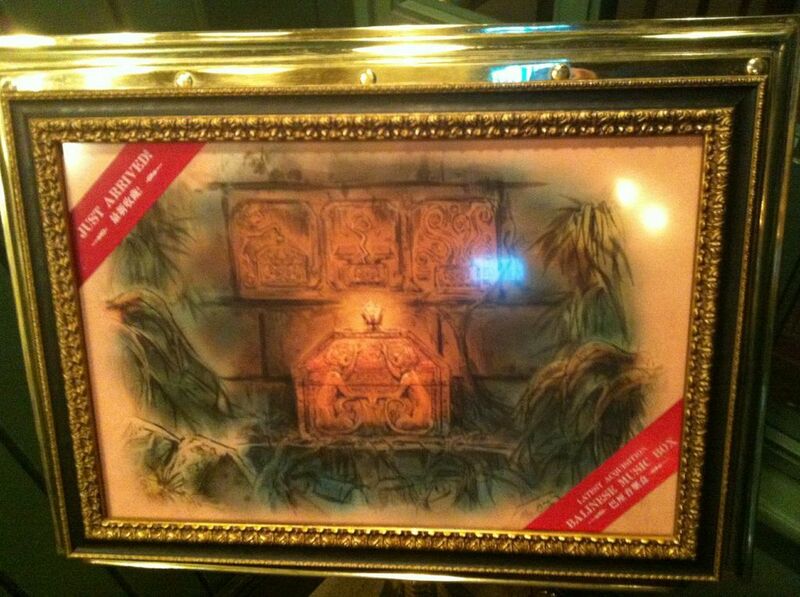 For those of you who think this is not a serious collection, Mystic Manor takes the time to catalog each of their pieces. Here we see several examples of weaponry stashed in Henry’s personal collection, for safety reasons, of course. The day we happen to arrive, the newest piece to the collection is on display. 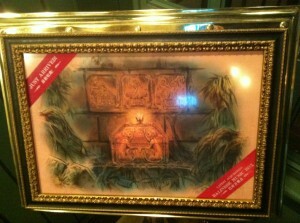 A music box all the way from Bali. According to legend, once the box is opened and music starts playing, it can breathe life into inanimate objects. I believe we all know what may happen just by putting together the clues from the queue. It’s all these subtle hints that make this such a great attraction, regardless of what language you speak. 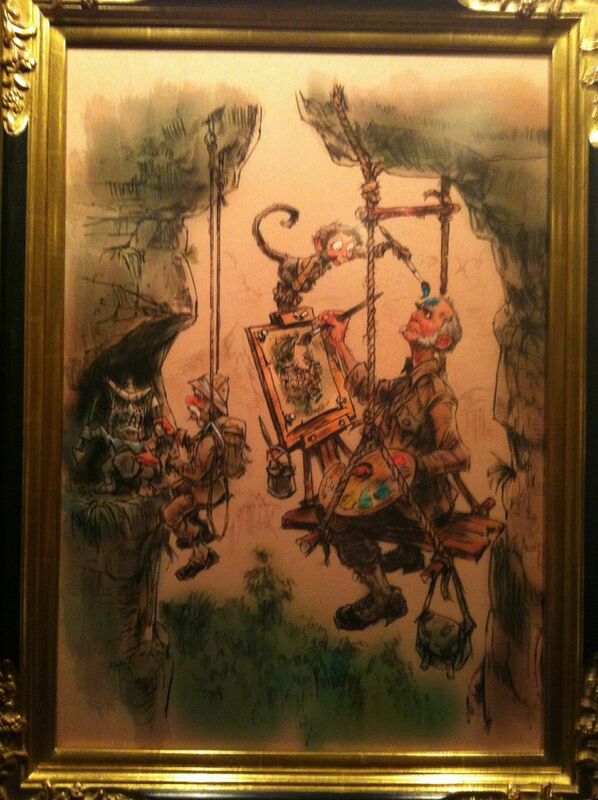 Walt Disney Imagineering should be commended for this incredible job in immersive story telling. Speaking of…. Lord Henry has an annual gathering of his famous friends from all over the world come over so they can fawn over his latest finds. 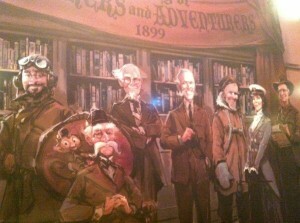 Many of which bear a striking resemblance to a few key people who helped create Mystic Manor. One such fellow is Harrison Hightower III, holding an idol that he collected while he was in Africa from the Mtundu tribe. This idol can now be found in the Hotel Hightower in New York, where I am told it’s wreaking havoc on the elevators. Some are even calling it a Tower of Terror. 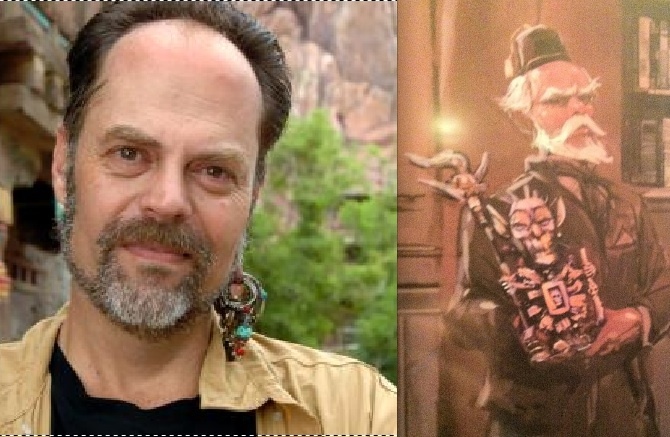 The portrait bears a striking resemblance to Executive Designer and Vice President of Creative of WDI, Joe Rohde. There are other paintings hung throughout the gallery such as this one of Dr J.L. 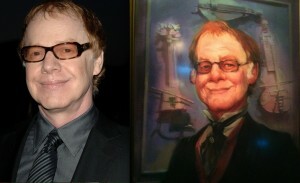 Baterista who looks an awful lot like Senior Vice President of Walt Disney Imagineering Joe Lanzisero. 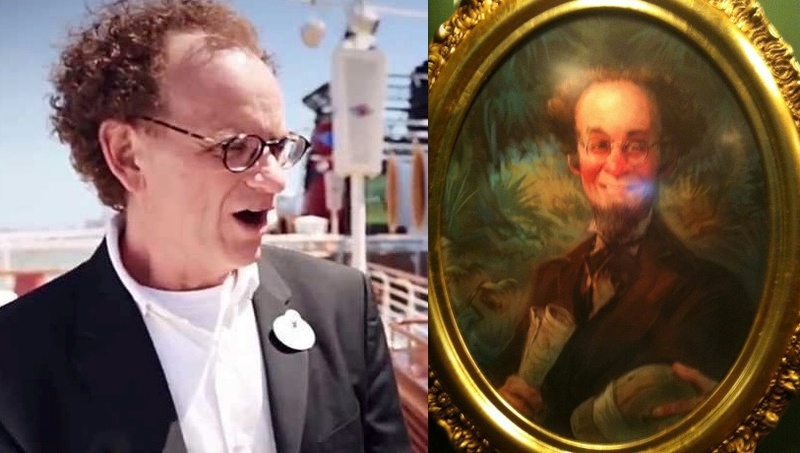 Finally we have this portrait of Maestro D Elfman, which come to think of it, IS Danny Elfman who composed all the music for Mystic Manor. Danny is an Oscar nominated composer and is responsible for the music from Disney’s The Nightmare Before Christmas, Men In Black, Beetlejuice and many many more. 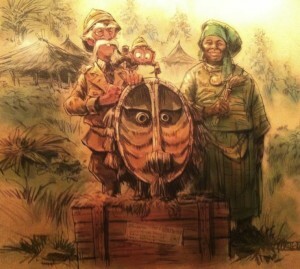 It’s these details and nods to the attraction’s creators that make Mystic Manor a slam dunk attraction for me. You can take a unique ride system and load it down down special effects and it’s still a great ride. However, if you give it a back story and so many layers of depth, that is what makes an attraction truly special. For more stories like these from Theme Park University, make sure to like our Facebook Fan Page by clicking here or head over to Twitter and follow TPUJosh from there. 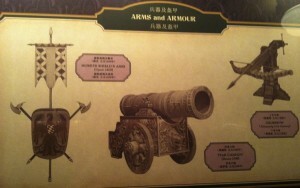 Editor’s Note: Many thanks to our Eastern Theme Park Corespondent, Sean Graham, for providing these great photos from Mystic Manor in Hong Kong Disneyland. 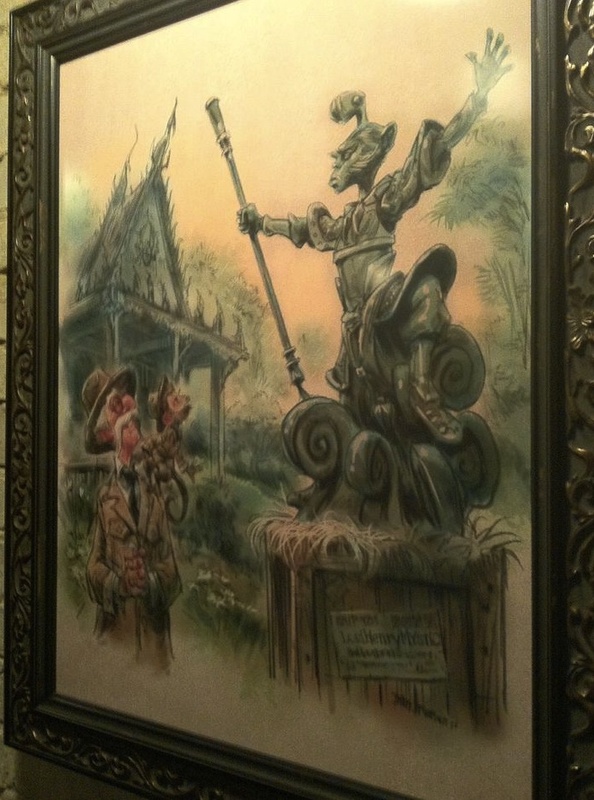 This entry was posted in Disney, Easter Eggs and tagged attraction story telling, Danny Elfman, Enchanted Tiki Room, Henry Mystic, Hong Kong Disneyland, Joe Lanzisero, Joe Rohde, Jungle Cruise, magneto-electric carriage, Mystic Manor, Mystic point, queue details, trackless ride system. Bookmark the permalink. Trackbacks are closed, but you can post a comment. Reading through this article again has reminded me just how much I loved this ride, and Big Grizzly Mountain, too. It’d be a great fit for Animal Kingdom, or even one of the Adventurelands overseas. I hope they bring it to other parks. The moment with the monkey god statue was excellent.